Shakespeare lived in a world of absolutes - the absolute authority claimed for God over the world, for the holy scriptures over the faithful, monarchs over subjects, fathers over wives and children, men over women, the old over the young, and the gentle over the baseborn. With the elegance and verve for which he is well known, Stephen Greenblatt, author of the best-selling "Will in the World", shows that Shakespeare was strikingly averse to such absolute claims and constantly probed the possibility of freedom from them. Greenblatt explores this rich theme by addressing four of Shakespeare's preoccupations across all the genres in which he worked: beauty, hatred, authority, and autonomy. He considers Shakespeare's challenge to the cult of featureless perfection, his sense of the inherent limits of murderous hatred, his awareness of the ethical ambiguity of power, and his doubt that artists, guided by distinctive forms of perception, were at liberty to create without constraints of any kind. 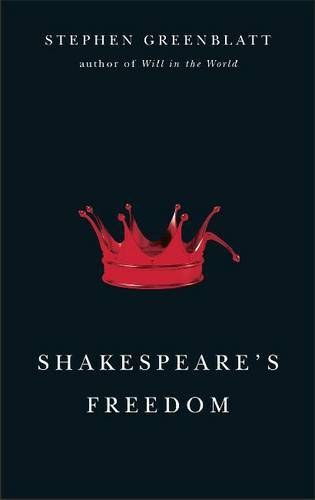 A book that could only have been written by Stephen Greenblatt, "Shakespeare's Freedom" is a wholly original and eloquent meditation by the most acclaimed and influential Shakespearean of our time.